Apple today was honored as a recipient of a Helen Keller Achievement Award from the American Foundation for the Blind for the company's accessibility efforts, particularly VoiceOver's ability to give vision-impaired users access to iOS devices. With the advent of the Apple Watch, many of those accessibility features are now also migrating over to the wrist. Coincidentally, MacRumors' sister site TouchArcade today took a look at the possibilities for accessibility features in iOS gaming. The report highlights a close-knit community that is gaining the ability to use and interact with experiences on iOS thanks to a few motivated developers taking the time to implement Apple's extensive accessibility options in their own games. The genesis of the article came from a single comment posted on an RPG-related piece which included the game King of Dragon Pass [Direct Link]. The user, Zack Kline, caught TouchArcade's attention by mentioning the little talked-about feature of the iOS game implementing a successful and satisfying amount of options to become playable for blind players. This time around, one comment from a reader named Zack Kline caught my attention. It reads, "One aspect which often gets overlooked is that it's one of the few big iOS games which has really gone out of its way to become playable by the blind. There's a sizable population of iOS users, myself included, who are really happy that Apple has done so much work on making their platform accessible, but don't have a lot of interesting games to enjoy. Frankly, (King Of Dragon Pass) is the best, and certainly the deepest. I only wish we had more choices." The game, originally a PC title, was unable to include accessibility features in the PC version due to time constraints, but designer David Dunham felt adding VoiceOver options to the iOS port simply "seemed like the right thing to do." VoiceOver's simple gesture controls for reading text aloud make King of Dragon Pass, largely a text adventure and interactive story-based game, readily playable for blind users interested in the game. Many apps and games lack such support, however, with the shortcoming largely stemming from a need to set priorities in the development process of every game. Given the often tight time constraints for development work, accessibility features frequently rank low on that priority list given the relatively small base of people who would benefit from it. Speaking with TouchArcade, however, Dunham points to a largely painless process of including VoiceOver support for his game, and the larger satisfaction of King of Dragon Pass being playable to even more fans as a result. 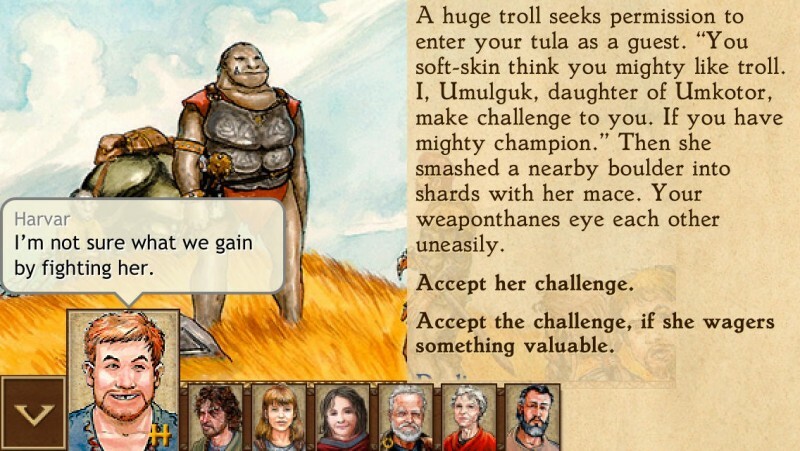 Since King Of Dragon Pass was mostly a text-based game, Dunham used UIKit to make it rather than a sprite-based engine. That meant that almost everything worked with VoiceOver to some extent without any extra work done. From there, it was just a matter of going through every screen and making sure things worked as they should, particularly with regards to pictures. The only part that required extensive work was the game's map, which was originally designed as being coordinate-based. The new VoiceOver map is actually composed of discrete tappable areas, according to Dunham, something that came about as a result of enthusiastic testers and would-be players. According to Dunham, in the last month or so about 7 percent of players booting up his game have done so in VoiceOver mode. Although that may seem low, Dunham says it was well worth the investment and time consumption of supporting the features in the game. Amir Rajan is the developer of another accessibility-supported iOS game, A Dark Room [Direct Link], and agrees with Dunham. "It's worth it to get a thank you email from a father with a blind daughter that can enjoy a popular game that her seeing friends play too," said Rajan. Of course, the games supporting these features right now are a bit simpler, less intense experiences. The developers supporting these features should be celebrated, but, as members of Apple-focused accessibility site AppleVis point out, the hope for the future is more games built with these features in mind from the get-go. The full article on TouchArcade is well worth a read, and goes into even more detail regarding specific testimonies from blind gamers, developer reactions, and the short list for the best accessible iOS gaming experiences out now. Awesome work, Apple! One of the few companies that actually puts things like people and the environment before greed and numbers. 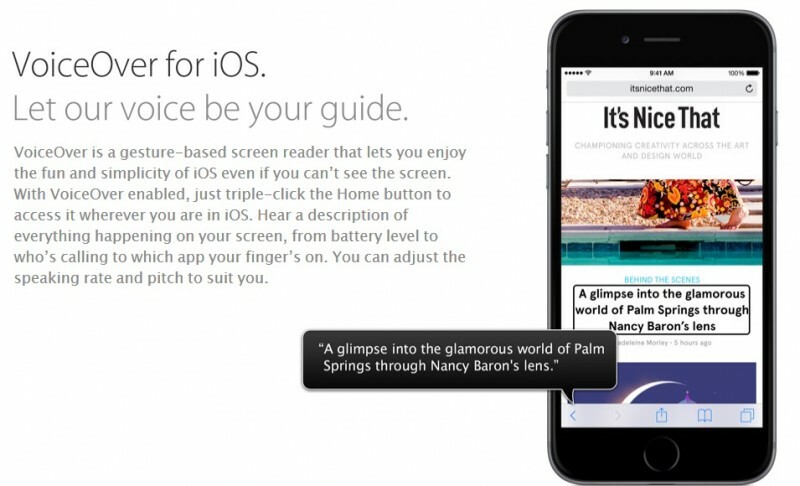 This is great :apple: . Well done! And of course to the other companies such as Google, Microsoft! Hopefully almost anyone can use technology! To me, that is what makes Apple huge. ******* the numbers and sales records, this is about people! Kudos to Apple for not leaving anyone out. No matter what anyone's disability, everyone from any walk of life deserves to enjoy the same quality of life as any able bodied individual does. And much respect for any developer who incorporates accessibility use into their apps. I salute you. I wish Apple would enable really large, simple, easily distinguishable controls for playback of podcasts and audiobooks on an iPad. The current ones are absolutely dismal for the visually impaired. The controls for playing an audiobook or podcast are so small and difficult to distinguish that my visually impaired mother can no longer use her 9.7" iPad (3rd gen) to play podcasts, music or audiobooks. And, with each changing iOS, Apple loses those people who had basically memorized where the controls were, even if they could no longer see them well. I am blind and use the combo you described and also a mac. An iPad is same as the iPhone just bigger. Personally I'd just keep the iPhone for portability. I know other blind people love working with the iPad. my wife swears at every electronic item she uses. but she has switched mostly to her iphone and ipad they are easier to get around on. She talks to and at them and they all talk back. Perhaps Apple should create a "vision impaired" mode for iOS and let developers create a separate interface specially designed for this – perhaps with larger controls, no unnecessary decorative visual elements, different color scheme, etc. And this way, developers could update their regular UI as often as they want but keep the "vision-impaired" UI the same.